Carriage Hill neighborhood is located right in the middle of Plano with 367 custom built homes. Build in the mid 1980's, this neighborhood has a generous number of highly sought after single story custom built homes. Large lots and mature landscaping enhance the beauty of Carriage Hill. Plano originated in the early 1840's in the Republic of Texas. Most of the early pioneers migrated from Kentucky and Tennessee as small groups of settlers found their way to Collin County's blackland prairie. Plano's birth was due in part to the enterprises of the Foreman family. The largest city in Collin County, located 20 miles north of downtown Dallas, Plano continues to garner national accolades for its quality of lifestyle, environmental initiatives and opportunities for economic development. 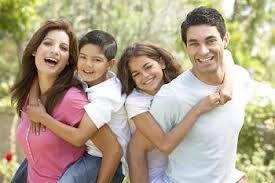 Open to many denominations and religion, you have many places of worship for your family. A comprehensive Plano Fire Department, is composed of 10 stations with 269 firefighters, all trained as emergency medical technicians, with 139 firefighters trained as paramedics. The average response time is 5.23 minutes for fire and 4.92 minutes for EMS.